LIFE IS BEAUTIFUL: Bacaan Liturgi 22 Februari 2018 Pesta Takhta S. Petrus, Rasul. Jadi Saksi Kristus. JANGAN MELAYANI KARENA MAU MENCARI KEUNTUNGAN. The Chair of St Peter..
Bacaan Liturgi 22 Februari 2018 Pesta Takhta S. Petrus, Rasul. Jadi Saksi Kristus. JANGAN MELAYANI KARENA MAU MENCARI KEUNTUNGAN. The Chair of St Peter..
* Dengan iman, tiada yang mustahil. Pesta Takhta S. Petrus, Rasul. * The Chair of St Peter. IMAN adalah faktor utama dalam kehidupan yang dipersembahkan untuk pelayanan. Dengan iman, tiada yang mustahil. PETRUS adalah seorang nelayan yang sederhana, tidak berpendidikan tinggi, spontan dalam berkata-kata dan berwatak keras. Ia merupakan orang pertama dari antara para rasul yang mengakui bahwa Yesus adalah Mesias, Anak Allah yang hidup. Namun, ia juga pernah tiga kali menyangkal Yesus di muka umum. Imannya yang kokoh, keterbukaannya terhadap kehendak Allah dan semangatnya yang tinggi untuk bangkit dari kelemahannya, menghantarnya menjadi seorang pemimpin Gereja. Kita adalah manusia yang tidak sempurna, memiliki banyak kekurangan dan kelemahan. Tetapi Tuhan tetap memilih dan memanggil kita untuk menjadi saksiNya lewat profesi kita masing-masing. Jangan jadikan ketidaksempurnaan kita sebagai penghambat untuk melayani Dia dan sesama. Senantiasalah membina relasi yang erat denganNya agar kita semakin mengenal pribadiNya, mengalami kehadiran dan kasihNya. Dengan demikian kita dapat menanggapi panggilanNya dengan penuh iman, percaya bahwa Ia pasti akan membimbing dan menyertai kita dalam melaksanakan tugas perutusanNya. Mari kita meneruskan tugas para rasul dengan penuh tanggung jawab. Persembahkan diri kita kepadaNya, layani sesama dengan sukarela, sukacita dan penuh kasih. Gembalakanlah kawanan domba Allah yang ada padamu. tetapi hendaklah kamu menjadi teladan bagi kawanan domba itu. kamu akan menerima mahkota kemuliaan yang tidak dapat layu. *Tuhan gembalaku, aku takkan berkekurangan. dan di atas batu karang ini akan Kudirikan jemaat-Ku. 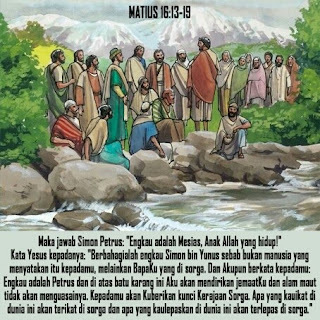 Yesus tiba di daerah Kaisarea Filipi. atau salah seorang dari para nabi." "Engkau adalah Mesias, Anak Allah yang hidup!" melainkan Bapa-Ku yang di surga. Kepadamu akan Kuberikan kunci Kerajaan Surga. 1 Pet 5:1-4; Mzm 23:1-3a, 3b-4,5,6; Mat 16:13-19. "Mar, kamu ikut koor yuk. Jadi kita bisa bersama-sama memuji Tuhan dengan penuh sukacita." "Ada berapa orang yang ikut Mar?" "Kalau datang semua bisa sampai 40 orang." jawab Marta dengan semangat. "Hmm..boleh juga. Nanti aku mau sekalian jualan makanan kesehatan. Bagus sekali supaya kita bisa awet muda, terhindar dari kanker dan berbagai penyakit kronis lainnya. Kalau ada 4 orang yang beli, kamu bisa dapat komisi 10% loh." kata Maria dengan semangat. "Maria, kita latihan koor karena ingin melayani TUHAN dan sesama. Jadi intensinya adalah PELAYANAN, dan tidak boleh DIPAKSA apalagi mau mencari KEUNTUNGAN. Kita melakukan ini semua karena Tuhan sudah MENGASIHI kita. Coba kamu renungkan dulu, apakah kamu TERPANGGIL?" "Wah aku seperti diberikan MOTIVASI oleh seniorku ketika masuk MLM ini, tetapi Motivasimu berbeda karena penuh KETULUSAN dan CINTA KASIH tanpa Pamrih. Baik aku mau melayani Tuhan dan sesama." "Gembalakanlah kawanan domba Allah yang ada padamu, JANGAN dengan TERPAKSA, tetapi dengan SUKARELA sesuai dengan KEHENDAK ALLAH dan JANGAN karena mau MENCARI KEUNTUNGAN tetapi dengan PENGABDIAN DIRI." SUKARELA dan PENGABDIAN DIRI adalah ciri gembala yang Baik. Tuhanlah gembalaku, aku takkan berkekurangan. Amin.
" Salah satu hal terbaik yang kamu dapat saat dalam posisi terpuruk adalah kamu bisa lihat siapa saja teman sejatimu "
" Never stop learning because life never stop teaching "
The Chair of St Peter. Now when Jesus came into the district of Caesarea Philippi, he asked his disciples, "Who do men say that the Son of man is?" And they said, "Some say John the Baptist, others say Elijah, and others Jeremiah or one of the prophets." He said to them, "But who do you say that I am?" Simon Peter replied, "You are the Christ, the Son of the living God." And Jesus answered him, "Blessed are you, Simon Bar-Jona! For flesh and blood has not revealed this to you, but my Father who is in heaven. And I tell you, you are Peter, and on this rock I will build my church, and the powers of death shall not prevail against it. I will give you the keys of the kingdom of heaven, and whatever you bind on earth shall be bound in heaven, and whatever you loose on earth shall be loosed in heaven." Today we celebrate the feast of the Chair of St Peter which is not merely about a piece of furniture. The seat of the bishop is the Chair or 'cathedra' (origin of the word cathedral, a church that has the cathedra of the bishop). It signifies the authority of Peter. In the apse of the Basilica of St Peter you can see the chair, a bronze sculpture of Bernini (17th century). On top of it you see the Dove symbolizing the Holy Spirit who inspires the Pope. Jesus needed a strong man, a rock on which to build His Church. A rock that serves as a foundation doesn't need to be beautiful; just strong. Peter wasn't perfect when Jesus chose him, but his faith and love would become strong enough to make the Church stand firm. Over the centuries many strong empires have fought against this Rock. They disappeared but the Church stands erect. Whoever fights against this Rock "shall not prevail." Stronger than Superman, Spiderman or Batman… is our Fisherman! 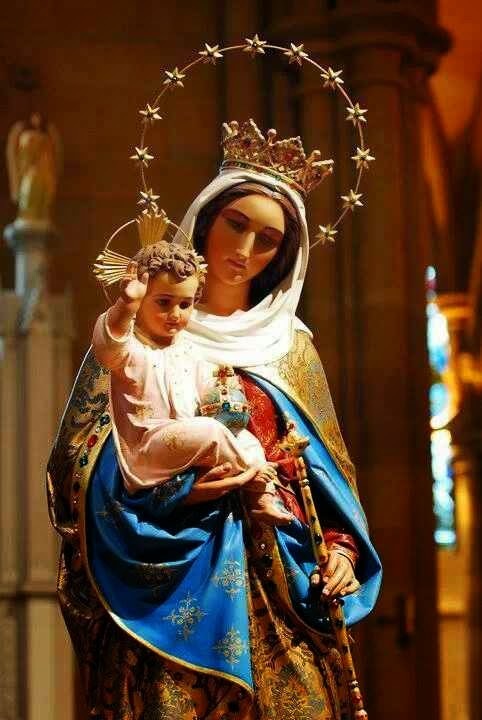 Holy Mary, our Hope, Queen of the Apostles and Mother of the Church, pray for the Pope and for us! St Peter made it clear from the outset that to be a shepherd is to be a witness to the sufferings of Christ. He said, "I have something to tell your elders: I am elder myself, and a witness to the sufferings of Christ." This is something we do not think much about. Many of us tend to focus on the privileges, the limelight and the glory of being a shepherd of Christ. Some might even think that priesthood can be an escape from the responsibilities of married life; that it is just another form of a bachelor lifestyle with an iron rice bowl. Indeed, this is the way the priestly and religious vocation is sometimes being promoted. They show you pictures of the joy of ministering to the people of God and living like brothers and sisters in the community. It is the same for marriage as well. Often, married life is presented in such a blissful and loving manner, one is persuaded to believe it to be the ideal life, a lifelong romance every day. But they do not tell you as Jesus did, "Whoever wants to be my disciple must deny themselves and take up their cross and follow me". (Mt 16:24) Indeed, it is only when you have become a priest, a religious or when you get married, that you realize that the ideal and the reality do not match. It is only a goal to be reached and to strive for. Unless we are prepared, many of us will become disillusioned, whether we enter a priestly and religious state of life or get married. We see many marriages start so well, but when the reality of building strong relationships sets in, clouded by financial and work issues, in-laws and children, sickness and the elderly, etc, some cannot take it and want to divorce. So too many priests suffer disillusionment and burn out when they get into the thick and thin of the ministry; and some eventually leave the priesthood. Often the laity do not understand the challenges and sufferings of their shepherds. Conversely, priests and religious are guilty too of not being able to identify with the struggles of the ordinary man and woman, especially at work and family life. This is understandable as we live in quite different worlds in terms of lifestyle, needs and struggles. Although the situations are different, the feelings are similar. When St Peter exhorted the elders to "be the shepherds of the flock of God that is entrusted to you" it is often taken for granted. How many of us parents are always conscious of our role as shepherds of the flock under our care? Do we see them as God's children entrusted to our care, or do we see them as our children and property for us to dispose as we see fit? The truth is that priests often forget that the people of God under their charge belong to God. We are only caretakers. They do not belong to us and therefore we cannot do as we wish with them, but only according to what the Lord wants of us. As St Peter says, "because God wants it." This situation happens because we see them as strangers and workers. There is a lack of intimacy between the shepherd and the sheep. This can also happen between parents and children when the former are seen as financial providers and disciplinary masters. Many parents are so absorbed in their career, business, work and their social life so much so they neglect to spend quality and personal time with their children. So too for the priest. He is more concerned with the work, the activities of the church, the administration, but he does not know the sufferings, the aspirations and the struggles of his people. This is why sometimes shepherds lack empathy for the sheep. They are treated like a case that should be gotten rid of quickly. Secondly, St Peter exhorts the shepherd to "watch over it, not simply as a duty but gladly." Loving those who love us is easy. (cf Mt 5:46f) But when those whom we love and sacrifice our life for take us for granted and even bite the hand that feeds them, it is a different take. When they misunderstand our kindness and actions, slander us in public, complain about us and level charges against us that are not true, how do you continue to love them gladly? When we are unappreciated, it is only natural for us to retaliate or at least give up loving them. Isn't this how parents and workers feel when they are unappreciated, or worse still, accused of things they never did? Thirdly, St Peter says, in exercising authority as a shepherd, "never be a dictator over any group that is put in your charge." Indeed, there are cases when those in authority are dictatorial in the way they command those under their charge. They make decisions without consultation and enforce rules against the will of the larger community. But in many cases, the real dictator is not the shepherd but the sheep under his or her charge. They are the ones demanding that the shepherd does this and that. Whatever decisions the shepherd makes, he or she is condemned by his or her detractors and opponents. Everyone wants his or her opinion not just to be heard but to be followed. This is the greatest challenge in any community – fostering unity through persuasion to bring all to a common stance, because the truth is that it is impossible to please everyone. That is why some just give up and stop taking initiative, because there are just too many opinions for just about everything. But of course, they too will be condemned for being lazy and complacent. So they resign from leadership! This explains why shepherds – priests, leaders and parents – suffer disillusionment and low morale. Instead of working for the love of the people, which was their initial motive, they do exactly what St Peter warns us, not to work "for sordid money, but because you are eager to do it." The zeal and eagerness is often lost because of the frustrations in leadership. When they experience rejection, alienation, loneliness and fatigue, they start to look for compensation in their lives. Some would indulge in worldly pleasures, socializing, eating and drinking, holidaying, or just hang out with close friends who could give them the consolation and support they need. Others, fed up with the ministry, eventually leave and live their own lives. Those who do not leave because they have no choice, become a problem to everyone, including themselves. They end up as irritable, edgy, grumpy, angry and impatient priests. How, then, can anyone who is in leadership truly live out the call of St Peter to "be an example that the whole flock can follow."? How can we be calm in the face of difficulties and challenges? How can we remain patient and forgiving and not vindictive when we are accused falsely and misunderstood? How can we continue to love and help those who are our enemies and who hurt us and our name? It is indeed very challenging to repay good for evil, kindness for injury. There is only one way, when the shepherds are in union with the Chief Shepherd, our Lord Jesus Christ. Only when we are one with Christ our good shepherd, can we find solace and consolation. We seek His consolation particularly in prayer and meditation. With the psalmist, we say, "Fresh and green are the pastures where he gives me repose. Near restful waters he leads me, to revive my drooping spirit." In prayer, we seek His wisdom. "He guides me along the right path; he is true to his name. If I should walk in the valley of darkness no evil would I fear. You are there with your crook and your staff; with these you give me comfort." Indeed, let our prayer be, "The Lord is my shepherd; there is nothing I shall want." Secondly, with St Peter, shepherds need to confess from their heart, "You are the Christ, the Son of the living God." Without this confession of faith in Christ, our faith will be weak and built on sand. How else do we explain why priests, religious and very active and zealous Catholics leave the Church because they have been hurt or disillusioned? This is because their faith is founded in human beings and in their activities, not on Christ as the Son of the Living God. 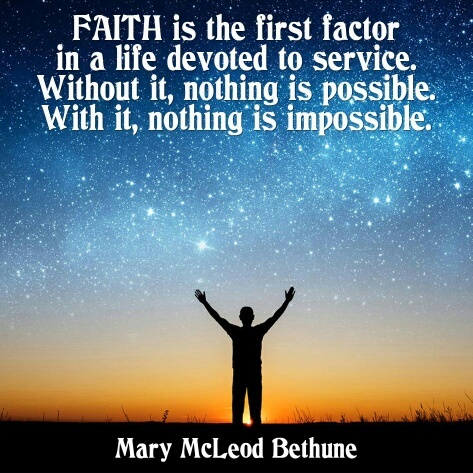 Only with this faith, could Jesus say to St Peter, "You are Peter and on this rock I will build my Church. And the gates of the underworld can never hold out against it. I will give you the keys of the kingdom of heaven: whatever you bind on earth shall be considered bound in heaven; whatever you loose on earth shall be considered loosed in heaven." Only because of our faith in Christ, can we submit in obedience to the Holy Father as the Vicar of Christ on earth even though we might disagree with him. In humility, we recognize him as the Lord's appointed vicar for the Church. Being in union with the Holy Father, is what today's feast is inviting us to do. The chair of St Peter speaks of his authority to govern and rule the Church. In the final analysis, he has been given the gift of revelation in authentic teaching as Jesus said, "Simon son of Jonah, you are a happy man! Because it was not flesh and blood that revealed this to you but my Father in heaven." By extension, the local Church is invited to be in union with the local bishop, just as he is in union with the Holy Father. In the final analysis, let us realize that as shepherds we do not work just for this world but for the world to come. This is our ultimate dream. St Peter urges us in our suffering to think of the destiny ahead of us; to consider the future of the people we help and our future destiny. St Peter asked us to keep our eyes on heaven. Our suffering is not an end itself but for our glory. St Peter consoles us, "I have a share in the glory that is to be revealed. When the chief shepherd appears, you will be given the crown of unfading glory." So we have only one life to live, let us live it well. We have one love, for God and for His people, let us give all we can.